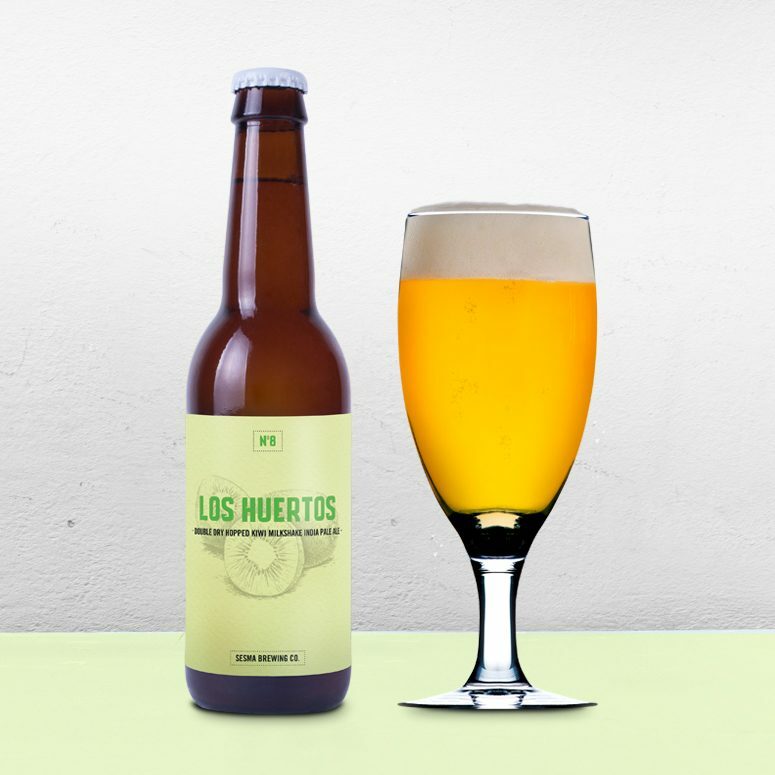 Los Huertos – Sesma Brewing Co. Double Dry Hopped Kiwi Milkshake India Pale Ale. La primera de una serie de tres cervezas refrescante y moderna, donde los protagonistas son una fruta y un lúpulo diferentes. The first of a three different beers refreshing and modern where the main characters are a fruit and a hop. Pale, Copos de avena, Dextrin, Caramel light/Pale, Flaked Oats, Dextrin, Caramel light. Pálida, turbia, espuma blanca/Pale, turbid, white head. Fruta tropical, fruta de hueso, kiwi/Tropical fruit, stone fruit and kiwi. Botella 33 cl./33 cl. bottles. Key Keg 30 L.